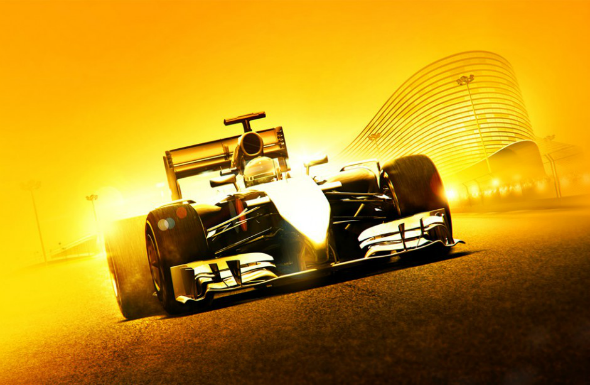 In the official blog of Codemasters company, the new F1 2014 game has been announced. This project will become the next instalment in the studio’s racing simulator series, based on the popular event - Formula 1. As the company’s community manager - Luke Spring - has written, the F1 2014 game will “recreate this year’s incredible season” with the new sports cars and thrilling tracks. The F1 2014 game will include the new driver evaluation system. It will let appraise the gamer’s level and abilities and, accordingly to the received results, will offer the proper settings. Also, the developers will make some little changes in the simulator’s level scheme. So now, the novices will be able to choose not Easy, but Very Easy setting to start the game. As the project’s creative director - Stephen Hood - has said, such a decision will provide “a thoroughly rewarding F1 experience” both for the newcomers and racing veterans. As for the last ones, they will face the truly hard missions and will be able to test the most powerful cars. The F1 2014 game will be launched on PC, PS3 and Xbox 360 in October 2014. But these are not all the surprises from Codemasters. The studio has promised that we’ll see another game from F1 series on the next-gen consoles. It will be released before Formula 1 starts and later will get several DLCs with updates.